It’s good and convenient. Plus, the connection is good when you arrive you can have internet immediately. We know that you love to be able to connect with your friends and family, and we also know that you don't like roaming costs. 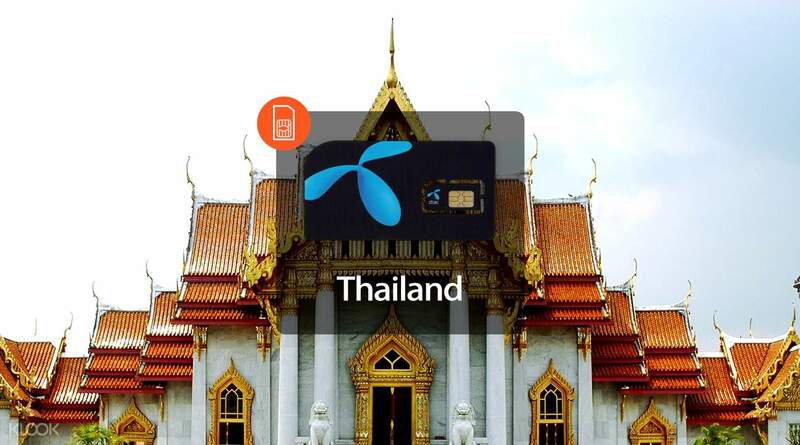 With a local Sim card available for pick up before you leave you can connect as soon as you arrive in Thailand. With unlimited data you'll be able to send those holiday snaps to family and friends, look at maps to find the best of the best, and stay in touch with your email while you're away. Get the sim card from Hong Kong international airport [Klook counter], just show them the coupon [from the cell phone]. When arrive Phuket airport, put it onto the phone, then start using, no setting up is required, so convenient. Good, highly recommended. Get the sim card from Hong Kong international airport [Klook counter], just show them the coupon [from the cell phone]. When arrive Phuket airport, put it onto the phone, then start using, no setting up is required, so convenient. Good, highly recommended. it was such a great stay at the jw marriot vacation club!the place was fantastic and all the staff are very friendly and easy to talk to.definitely will come back again if given the chance.highly recommend this place to my friends and relatives. it was such a great stay at the jw marriot vacation club!the place was fantastic and all the staff are very friendly and easy to talk to.definitely will come back again if given the chance.highly recommend this place to my friends and relatives. This is the first time I bought phone card thru Klook. I chose to pick it up at Hong Kong Airport. The location is easy to find. And the phone card is very good. Very smooth in Thailand! This is the first time I bought phone card thru Klook. I chose to pick it up at Hong Kong Airport. The location is easy to find. And the phone card is very good. Very smooth in Thailand! Convenient pick up, fast to connect and easy to use! Would recommend!! Convenient pick up, fast to connect and easy to use! Would recommend!! Love it, it’s convenient to pick up the SIM card at the Hong Kong International Airport. The package has clear instructions on it with detailed steps to use the SIM card. It’s basically just plug in and wait for the texts from the mobile service. Love it, it’s convenient to pick up the SIM card at the Hong Kong International Airport. 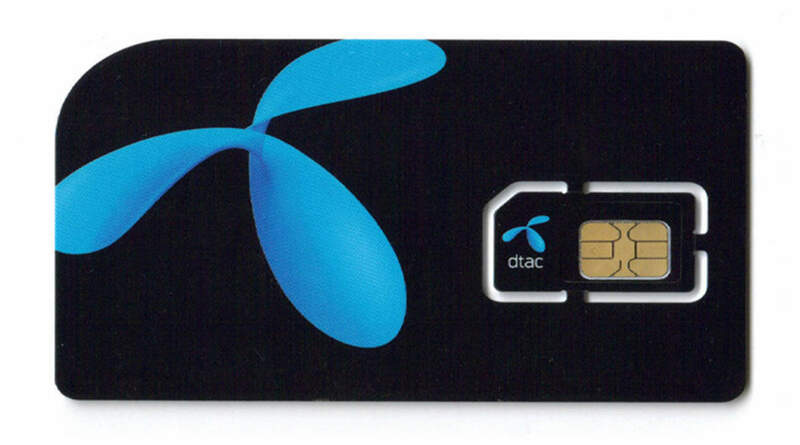 The package has clear instructions on it with detailed steps to use the SIM card. It’s basically just plug in and wait for the texts from the mobile service. This made my trip to thailand so much easier. Price is unbeatable! This made my trip to thailand so much easier. Price is unbeatable! I’m impressed with this SIM, on installing it in phone , it automatically started working without any extra steps taken . It’s been working fantastic on calls , data and speed. I like it and recommend as well. I’m impressed with this SIM, on installing it in phone , it automatically started working without any extra steps taken . It’s been working fantastic on calls , data and speed. I like it and recommend as well. Easy to find the klook representative at the HKG. The SIM card pickup in Hong Kong was very convenient as it allows activating on the plane upon arrival immediately in Phuket/Thailand which is very convenient and saves time upon arrival. The card has been extremely useful throughout our trip to Phuket and even essential as some activities in Thailand would be more conveniently organized with phone communications instead of internet. The speed has been 4G or 3G as described and the price is very reasonable. If you’re traveling to Thailand from HKG get this - it will have a huge impact to your trip. Easy to find the klook representative at the HKG. The SIM card pickup in Hong Kong was very convenient as it allows activating on the plane upon arrival immediately in Phuket/Thailand which is very convenient and saves time upon arrival. The card has been extremely useful throughout our trip to Phuket and even essential as some activities in Thailand would be more conveniently organized with phone communications instead of internet. The speed has been 4G or 3G as described and the price is very reasonable. If you’re traveling to Thailand from HKG get this - it will have a huge impact to your trip.